Living Room, Sectional sofa, TV, Dining and Kitchen all Open Space. 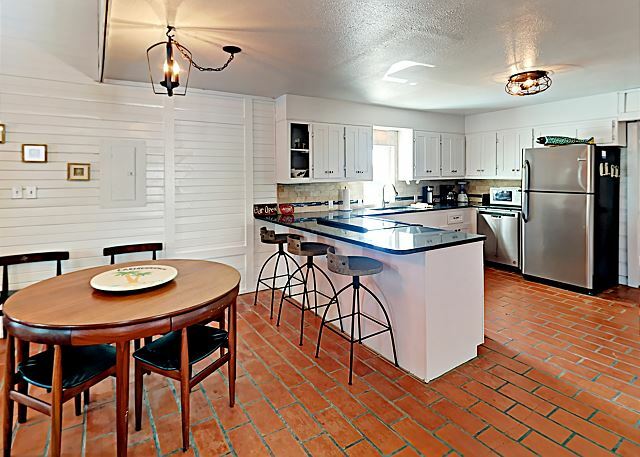 Fully equipped Kitchen, Refrigerator, Coffee Maker, Microwave, Toaster, Cookware, Dishwasher, Dining Table. Kitchen Dining, and Living Room all open space concept. 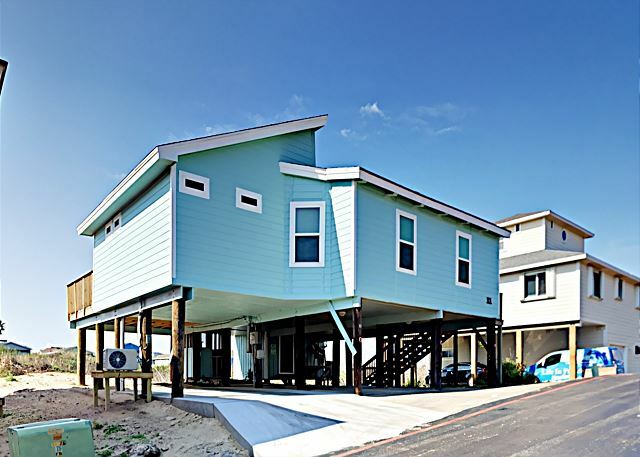 3 Bedroom 2 Bath - Beach House on Stilts - Sleeps 6 ( Master BR King , BR2 - Queen, BR3 - 1 Double) Incredible deck to enjoy with ocean view. Short stroll to the beach via neighborhood private boardwalk. Has cable TV & WiFi. 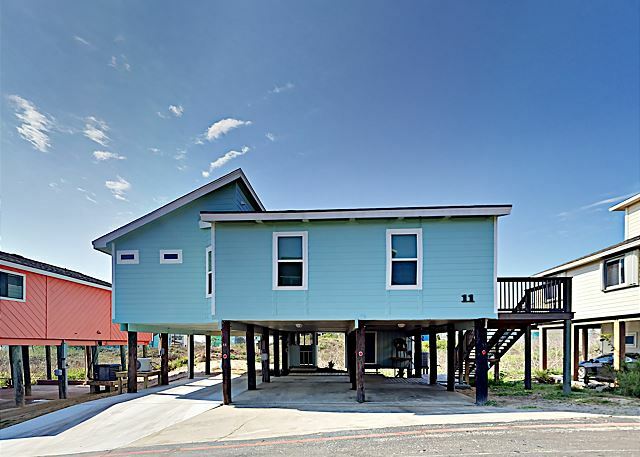 (Pets Not Allowed) 3 Bedroom 2 Bath - Beach House on Stilts - Sleeps 6 ( Master BR King , BR2 - Queen, BR3 - 1 Double) Incredible deck to enjoy with ocean view. Short stroll to the beach via neighborhood private boardwalk. Has cable TV & WiFi. 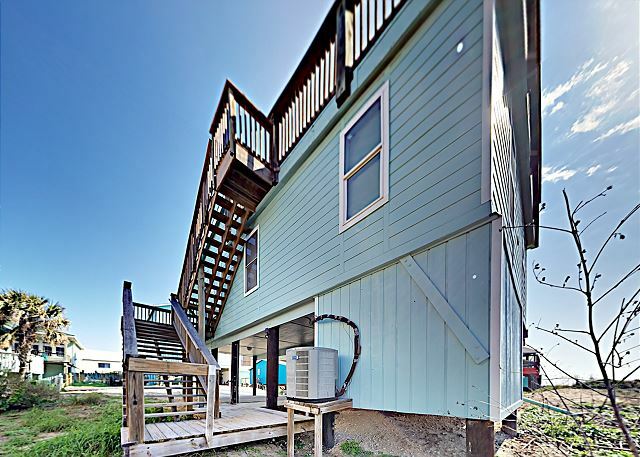 (Pets Not Allowed) 3 Bedroom 2 Bath - Beach House on Stilts - Sleeps 6 ( Master BR King , BR2 - Queen, BR3 - 1 Double) Incredible deck to enjoy with ocean view. Short stroll to the beach via neighborhood private boardwalk. Has cable TV & WiFi. 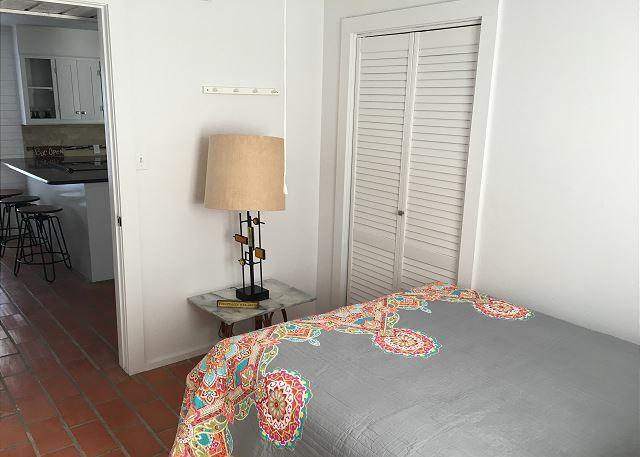 (Pets Not Allowed) 2nd floor balcony is private to master suite with ocean view. Large top deck with lots of seating space to enjoy the view. Large Top Deck with plenty of seating space. Gulf View! Top Deck with lots of seating space to enjoy this amazing view of the Gulf. 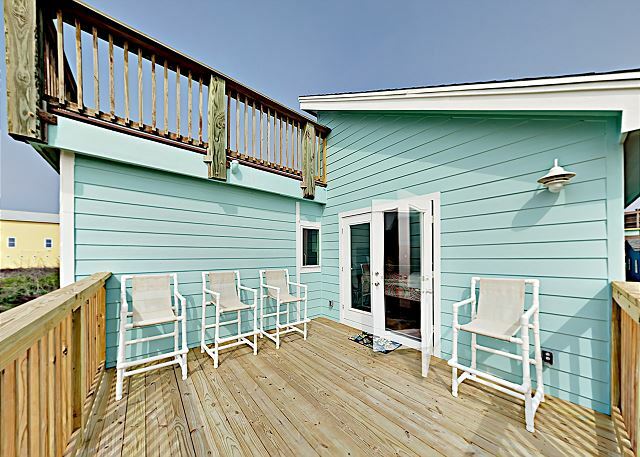 2 Bedroom 1 Bath - Beach House on Stealts - Sleeps 5 ( BR1 - Queen, BR2 - 1 Double / 1 Twin) Incredible deck to enjoy with ocean view. 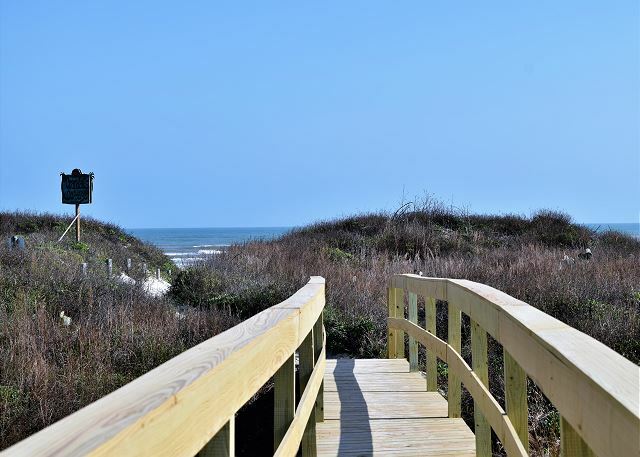 Short stroll to the beach via neighborhood private boardwalk. Has cable TV & WiFi. 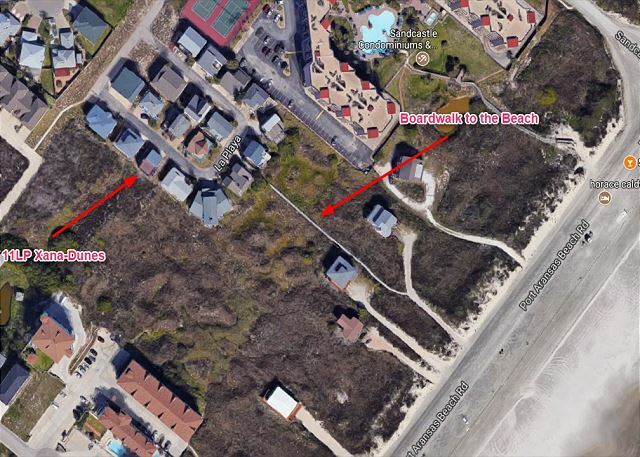 (Pets Not Allowed) Aerial Map of the House, Boardwalk and Beach. 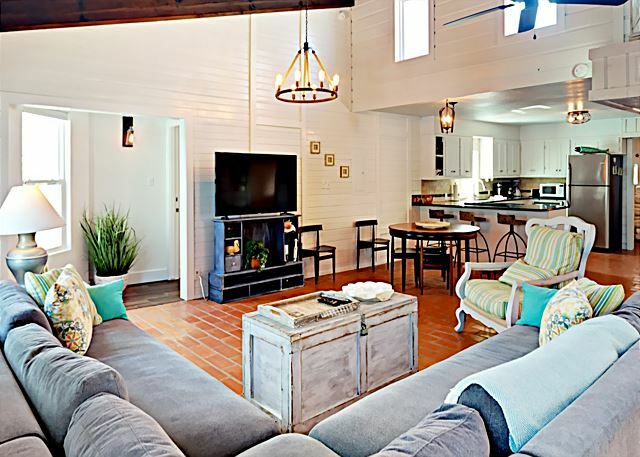 Living Room, Sectional sofa, TV, Dining and Kitchen all Open Space. Living Room, Sectional sofa, TV, Dining and Kitchen all Open Space. 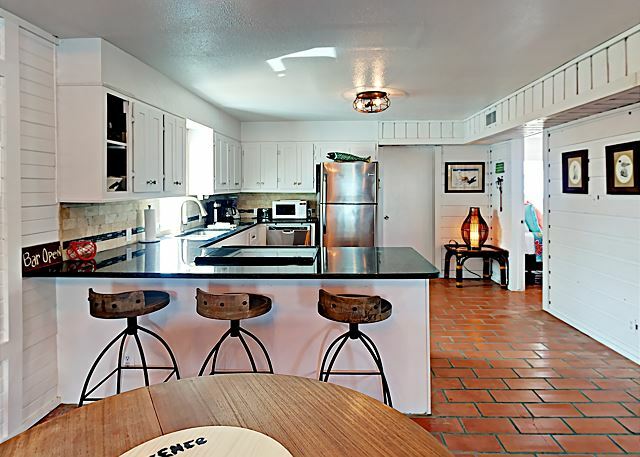 Fully equipped Kitchen, Refrigerator, Coffee Maker, Microwave, Toaster, Cookware, Dishwasher, Dining Table. Kitchen Dining, and Living Room all open space concept. 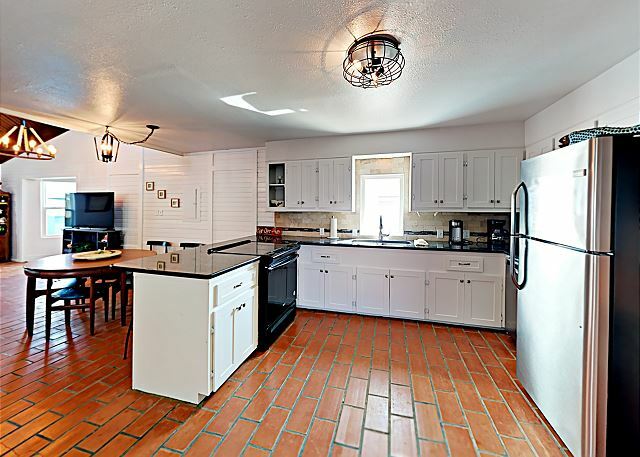 Fully equipped Kitchen, Refrigerator, Coffee Maker, Microwave, Toaster, Cookware, Dishwasher, Dining Table. Kitchen Dining, and Living Room all open space concept. 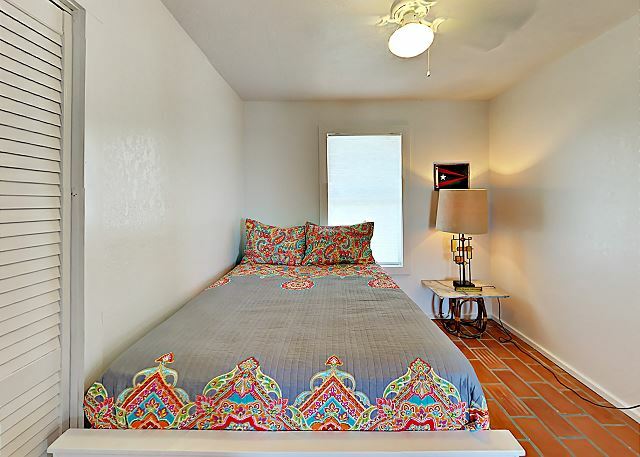 Master suite with king size bed, TV., private balcony, private master full bathroom and closet. Ocean view from balcony. 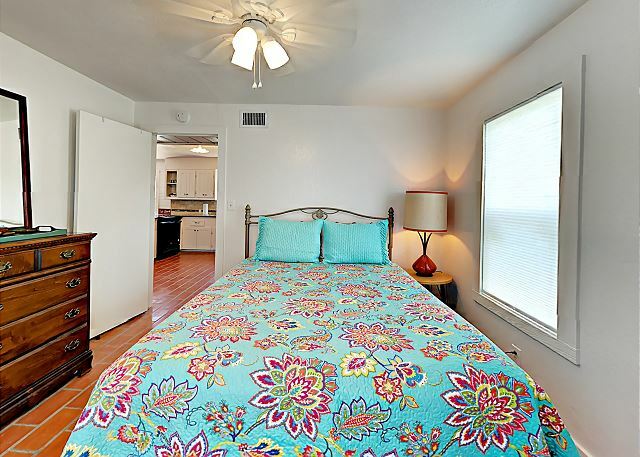 Master suite with king size bed, TV., private balcony, private master full bathroom and closet. Ocean view from balcony. 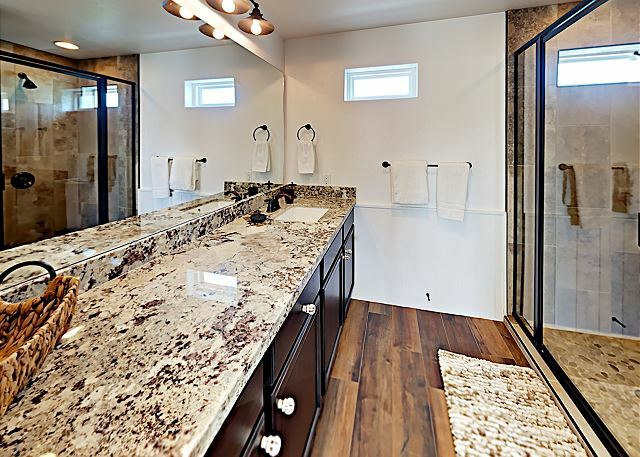 Master bathroom filled with all your amenities soap, shampoo/conditioner, facial wipes, hand and body lotion. Shower only no tub. 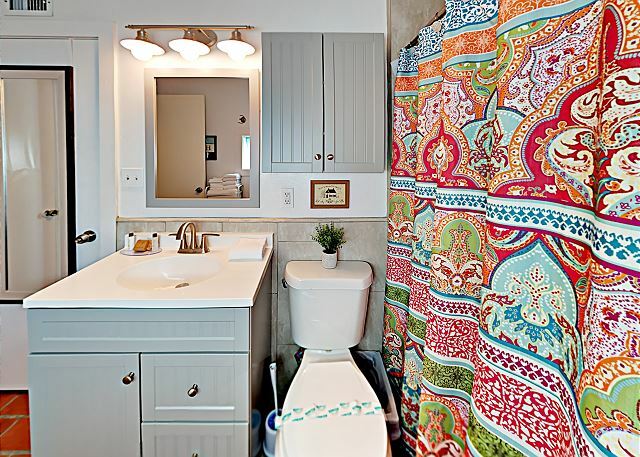 Master bathroom filled with all your amenities soap, shampoo/conditioner, facial wipes, hand and body lotion. Shower only no tub. Queen Size Bed Queen Size Bed Full size bed. Full Size Bed Full bathroom with tub/shower combination filled with all your amenities soap, shampoo/conditioner, facial wipes, hand and body lotion. 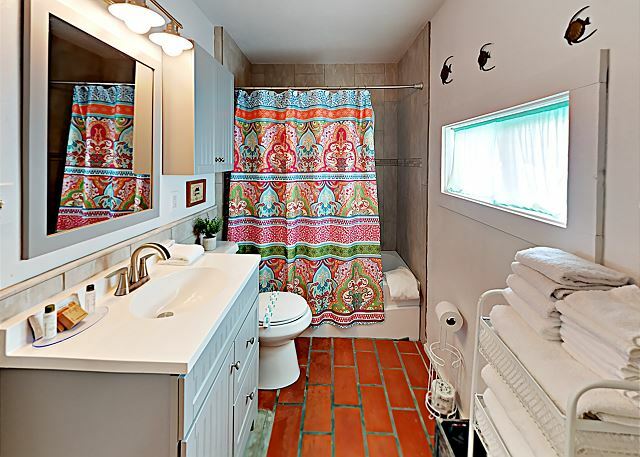 Full bathroom with tub/shower combination filled with all your amenities soap, shampoo/conditioner, facial wipes, hand and body lotion. 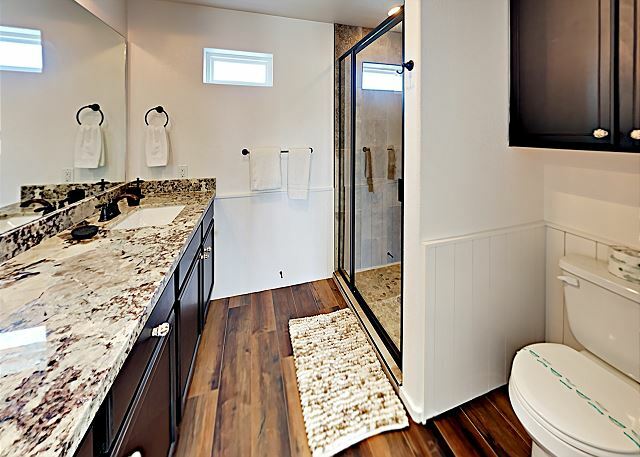 Full bathroom with tub/shower combination filled with all your amenities soap, shampoo/conditioner, facial wipes, hand and body lotion. 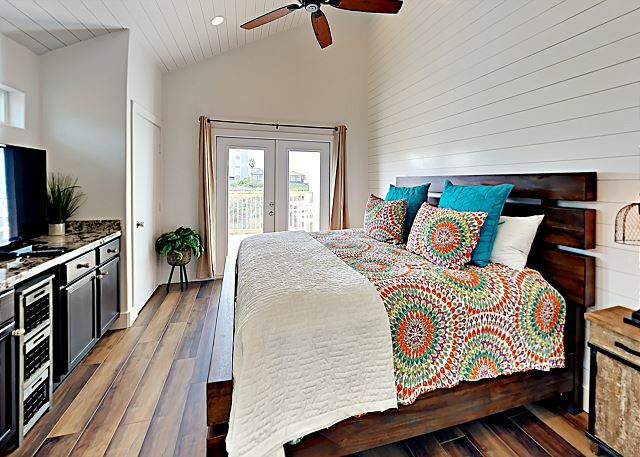 New master suite has recently been added to this 1 story beach home on stilts. 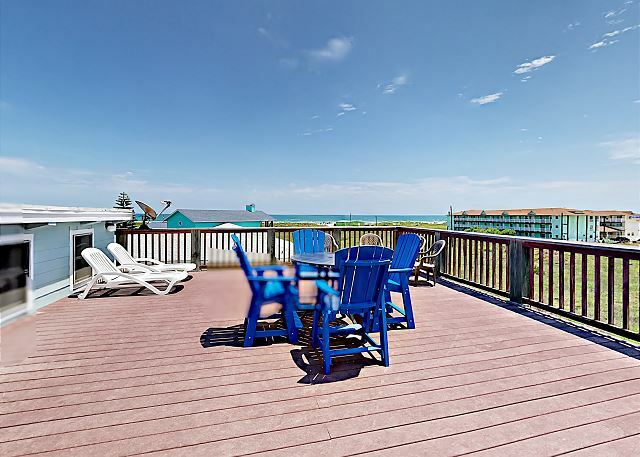 This is a great place for a family vacation with boardwalk and ocean views. All new appliances and furnishings. The Living Room has large sectional couch and big screen TV. 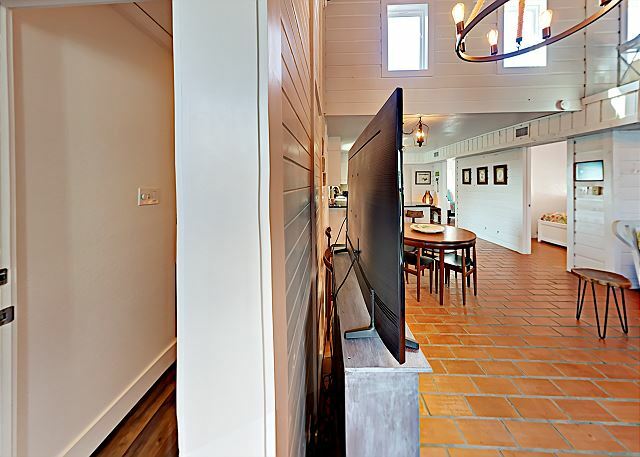 Very open floor plan. 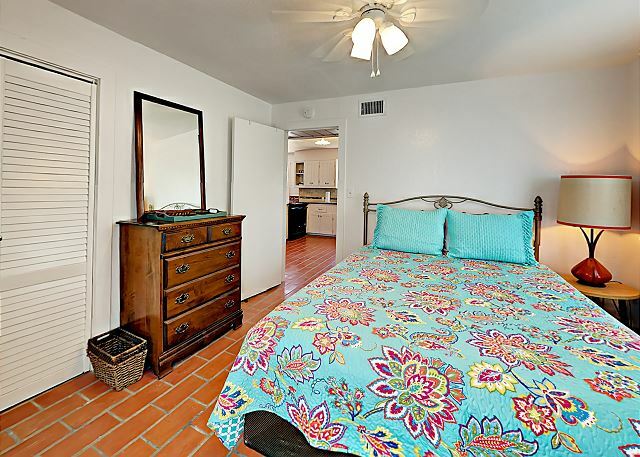 Master bedroom (BR1) has nice king bed and en suite bathroom, guest bedroom (BR2) has a queen bed, the second guest bedroom (BR3) has a full bed with twin and a trundle bed underneath and share a bathroom. 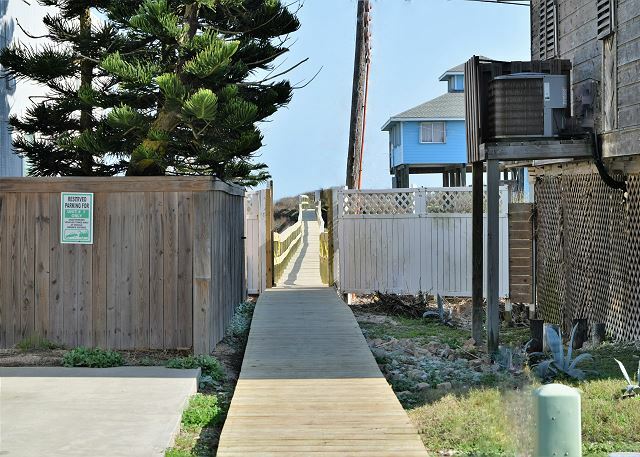 Enjoy the short walk to the beach via the private neighborhood boardwalk. 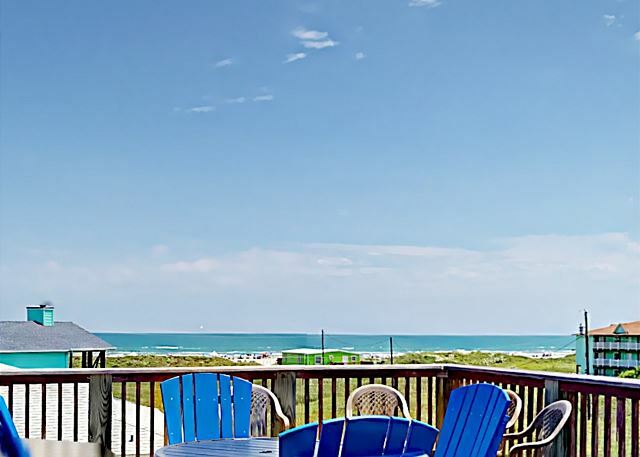 You will enjoy one of the best ocean views in Port Aransas. Ground floor has parking for 3 cars and a fish cleaning station. NO BOAT OR TRAILER PARKING. No parking on the road. My second time to rent this house. Is comfortably furnished with a beautiful new addition. 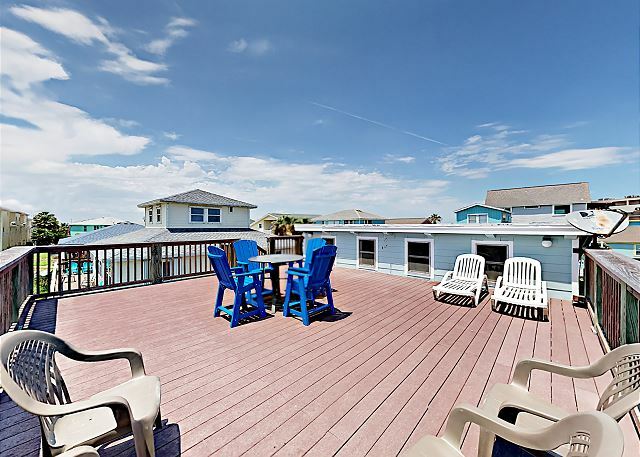 Great decks and amazing views! 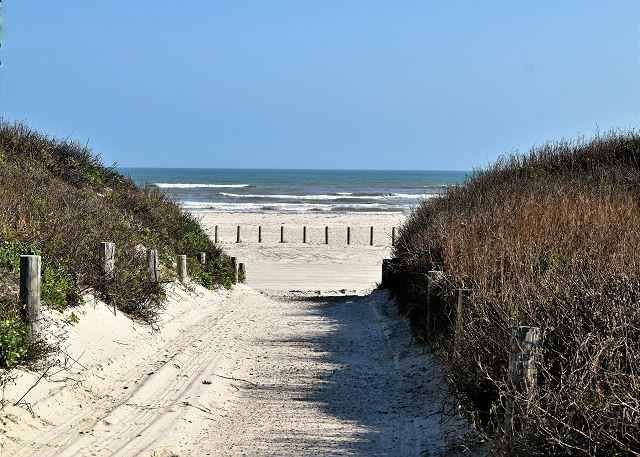 Easy walk to the beach, which is among the best in Texas. Love Port A, so laid-back. The perfect place to get away and recharge. We are happy to hear that you had a relaxing stay at this property. We hope to have you again soon! Thank you for the review. We enjoyed our stay at Cabinessense. The location was perfect, a two minute walk to the beach. A great view of the ocean from the top deck. The house had all the supplies we needed The kitchen lights were dim, but they just need new bulbs. Overall a great place to stay! Thank you for staying with us! 11LaPlaya is a great house. Please come again soon! House was awesome! 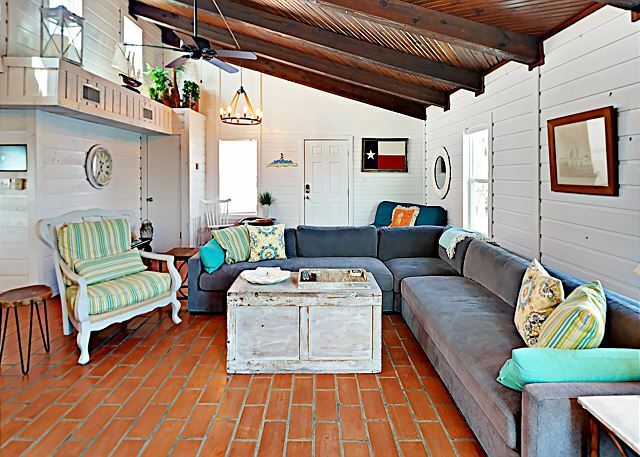 Love the open floor plan and great upper deck. Great location. Thank you for a great review. We look forward to having you again soon! Cabinessence at La Playa exceeded our expectations. 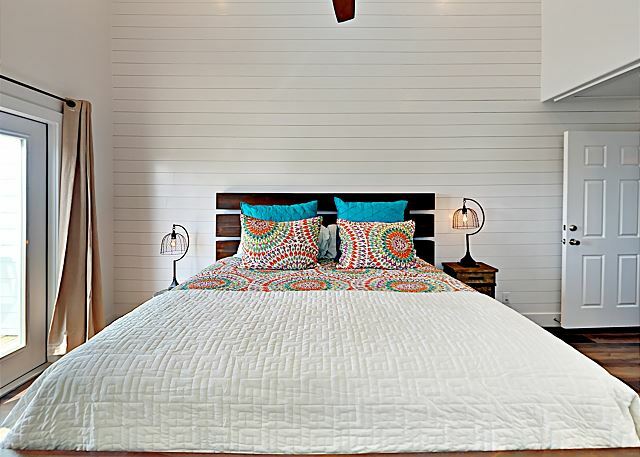 Adorably and comfortably furnished. Super clean. 360 degree views from the rooftop deck. A short walk on the neighborhood boardwalk to the beach. We definitely recommend it. Loved the La Playa neighborhood. Small, stand alone houses spaced well. 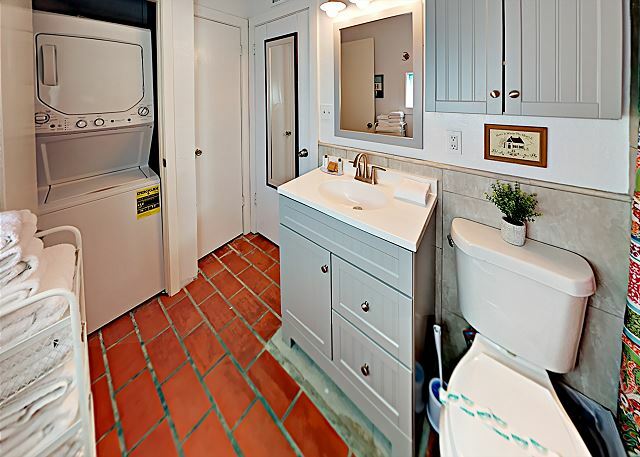 A few minor recommendations for the owner...the bathroom sink needs a new drain would not stay open without manual lifting, and the new master bed...while super comfy with a new mattress...has a very creaky bedframe. Other than those minor things, our stay was perfect. Everything with the condo was good, overall I would say it was a well maintained condo and we would stay there again. It was such a lovely property! Perfect for my small family and just as described. In fact, it is even better in person...even better is the view from the top deck. 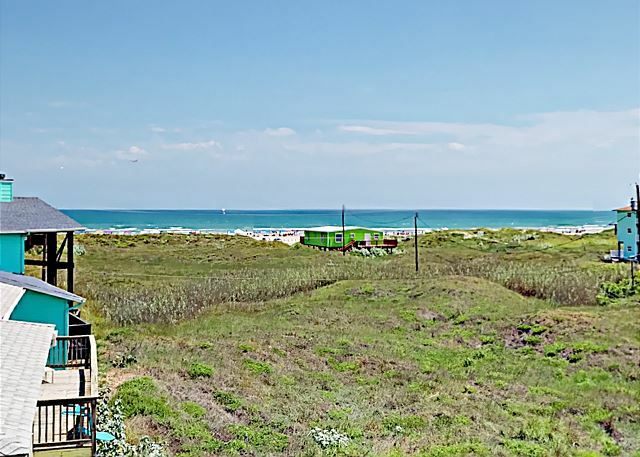 Really enjoyed this property with one of the best views I've ever enjoyed in a Port A house rental. Thank you for your review of 11 LP! we agree that the views of the beach from this locations are amazing! Look forward to hosting you guys again in the future!